International diva Priyanka Chopra is enjoying her bachelorette in Amsterdam with her girl gang. 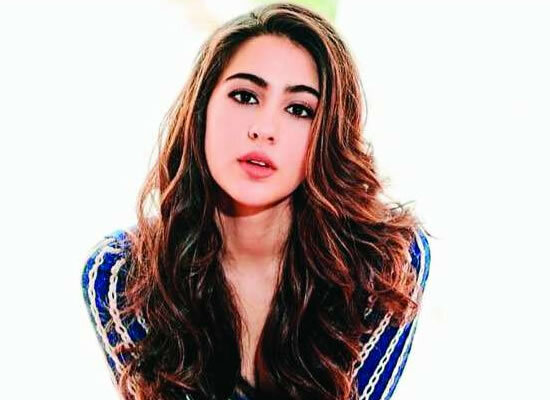 Sophie Turner, Srishti Behl Arya, Parineeti Chopra, Mamta Anand, Elizabeth Chambers and other buddies have joined Priyanka Chopra on the trip. Priyanka and all her friends have shared numerous photographs from the trip as the bride-to-be enjoys a good time. Priyanka has been wearing bridal-like wardrobe on the trip. 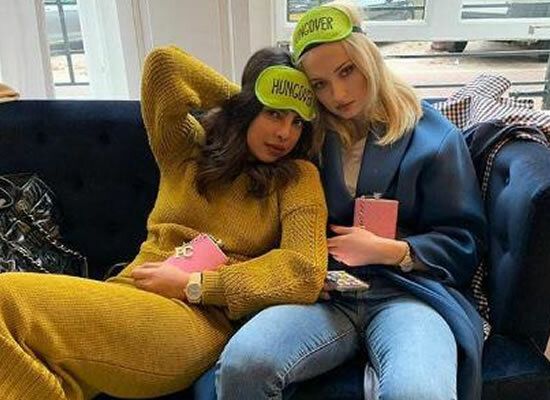 Priyanka posted a photograph lately, as their trip nears an end as she and Sophie Turner pose for a photograph with ‘Hungover’ sleeping masks. Priyanka looks spectacular in an ochre yellow dress with boots. Sophie Turner looks gorgeous in a blue coat, white tee and denim. Priyanka and Sophie Turner share a warm bond and regularly hang out together in New York City. Home / Hollywood News / Priyanka Chopra to enjoy her bachelorette with Sophie Turner in Amsterdam!